Choosing the right broker is critical. Make sure they can serve your trading personality. Deciding which broker to go with can be difficult. They all pretty much provide the same service, however the key is to find the broker that is suited to your trading personality. I currently have two brokers which I have been with for the past 5 years. As cliche as it sounds, I have not had a problem at all with these brokers. Their customer support is flawless. Below I will introduce the ideal brokers that in my opinion have served me well on my trading journey. Having been established for over 27 years, Hantec is deemed as one of the heavy weights in the game of the financial markets. Fund protection through the Financial Services Compensation Scheme. Professional client service whenever and however you need it. Guaranteed up time on our MT4 and Currenex platforms, for uninterrupted trading. 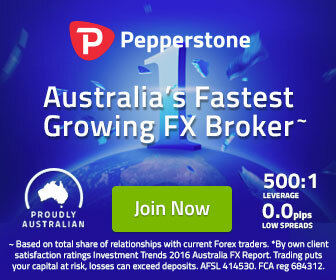 Pepperstone, an Australian based brokerage firm is the fastest growing FX Broker. As regulated broker, they are heavily focused on ensuring the client’s funds are safe and easily accessible. This is the predominant broker I use. More importantly, they allow scalping and hedging which is suited to my trading personality which is why I am sticking to this broker. AXI Trader was founded by traders for traders. There is no better broker to start your trading journey with. Below are the reasons to open an account with AXI Trader.